As a result of various historical contingencies, an ideological rift has severed the global Jewish community. Both in Israel and abroad, politically conscious Jews increasingly seem to fall into two primary camps; the hyper-nationalist Zionists and the anti-Zionists. However, prior to the political manifestation of the Zionist ideology in the State of Israel, the Jewish world flourished with an unprecedented diversity of thought. In what follows, I argue that the solution to the political conflicts plaguing Israel is a return to the healthy ideological debate that existed prior to the political achievements of modern Zionism. Rising anti-Semitism and volatile political realities in 19th century Europe brought with them ideological movements that were novel to the Jewish community. While many Jews turned to Socialism or immigrated en masse to the new world, others engaged critically with the prospect of reviving a form of Jewish national life. This latter development led to a vibrant intellectual debate between supporters of the various competing political doctrines which emerged to take on the project of Jewish national liberation. The most famous of these proposals is certainly the ideology of political Zionism presented by Theodore Herzl in his pamphlet ‘Der Judenstaat.’ Published in 1896, Der Judenstaat argues that the world Jewry should establish an autonomous state in Palestine. Specifically, Herzl believed an autonomous Jewish state was the only means of protection against rising anti-Semitic sentiments. 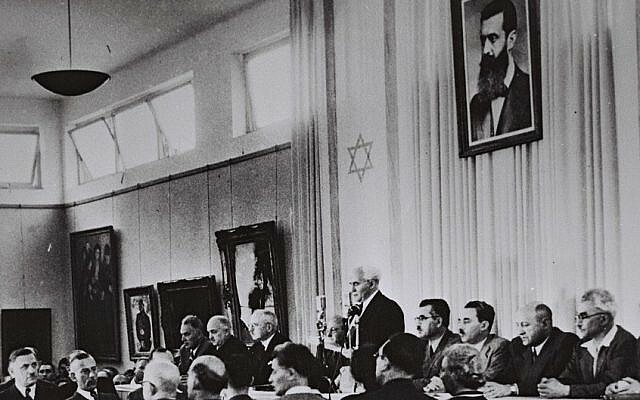 This solution for Herzl was not zero-sum; those in the newly established Jewish polity would benefit from increased security, while those who chose to remain in the Diaspora would experience lessening anti-Semitic sentiments as they would pose less of a perceived economic threat to local communities. At this time, Jews were moving en mass into the major metropolitan areas of Europe, where they had been legally barred from residing prior to their political emancipation. This sudden influx brought with it heightened resentment toward the Jews, who were seen as foreigners taking jobs from the local populace; Herzl was acutely aware of this phenomenon. 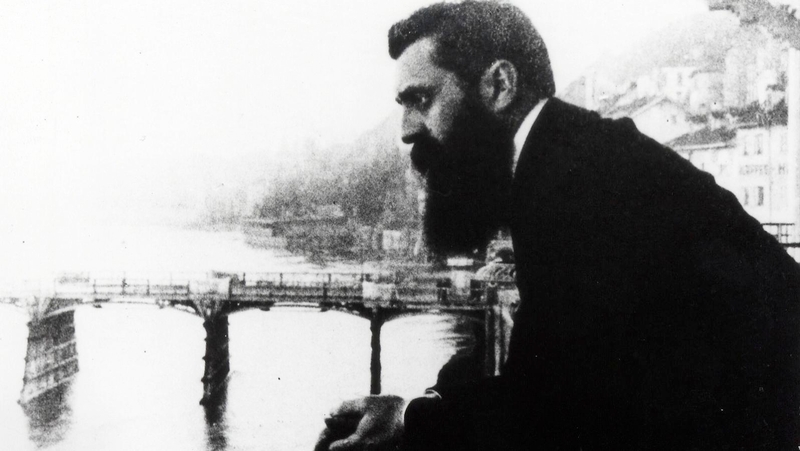 Furthermore, Herzl’s brand of Political Zionism was distinctively capitalist in nature. However, at least in the initial stages of the Zionist movement, Herzl’s Zionism was not the most popular view. Rather, the conventional view was held by Labor Zionists, who advocated for a socialist state in Palestine. Labor Zionists such as Aaron David Gordon argued that the Jewish people needed to engage in physical labor in their historical homeland in Palestine as a means of developing a genuine national culture. Moreover, various heterodox views also gained their fair share of ideological traction. Jewish Territorialists believed that the Jews needed an autonomous homeland, but had no geographic preference for the location of such a state. Members such as Israel Zangwill supported proposals for Jewish territories in disparate regions of the globe, including British East Africa and Mexico. Moreover, there was the Diaspora Nationalism of Simon Dubnow. Dubnow believed that the Jews could persist as a thriving nation in the Diaspora—outside of geographical Palestine—as long as they could remain culturally autonomous through adequate political recognition and protection by the states they cohabitated with other ethnic groups. Despite their novelty, these heterodox approaches failed to remain as candidate solutions for any substantial period. In the wake of this ideological battle came signs of substantive progress toward the establishment of a Jewish nation-state. The Balfour Declaration of 1917 affirmed Great Britain’s commitment to the eventual “establishment in Palestine of a national home for the Jewish people.” This diplomatic success was followed by certain setbacks, including restrictions on Jewish immigration to Palestine. However, following the United Nations decision to partition Palestine in November of 1947, Israel subsequently declared its independence on the 14th of May 1948. Despite remnants of Labor Zionism in the isolated kibbutzim present in the modern state of Israel, Herzl’s version of Political Zionism clearly won the ideological war. Thus, Israel became a 21st-century capitalist nation-state, serving as a homeland for Jewish people worldwide. With the victory of Political Zionism came a loss of ideological diversity within the worldwide Jewish community. With no viable alternatives to the specific brand of Zionism in place, those politically engaged felt forced to take a side between inviolably supporting the modern nation-state of Israel, or rejecting Political Zionism and the moral legitimacy of the Jewish nation-state. Certainly, more nuanced views exist—however the loudest and most influential voices consistently stem from these two factions. The Hyper-nationalist Zionists are those who unquestionably support Israel’s policies and fail to properly criticize the state when it transgresses ethical norms. The anti-Zionists are overly critical of the state of Israel and deny its legitimacy. Hyper-nationalist Zionists have few cosmopolitan sentiments and favor policies which are most beneficial to the survival of the Jewish State. This ideological perspective is represented by the modern Likud party within Israel. Perhaps the area in which this ideological viewpoint is most evidently present is the Israeli settlement policy. Benjamin Netanyahu, the current Prime Minister of Israel and member of the Likud party, stated that he and the Likud party would “continue to take care of (the settlements) with wisdom and responsibility for the benefit of (the settlements) and the state of Israel.” Here, the phrase “take care” is a euphemism for maintaining the existing settlement policy by any means necessary, irrespective of the ethical cost. It seems that for many hyper-nationalist Zionists, emotional attachments to land hold greater moral weight than the right of the Palestinian people to live in an autonomous and continuous state of their own. 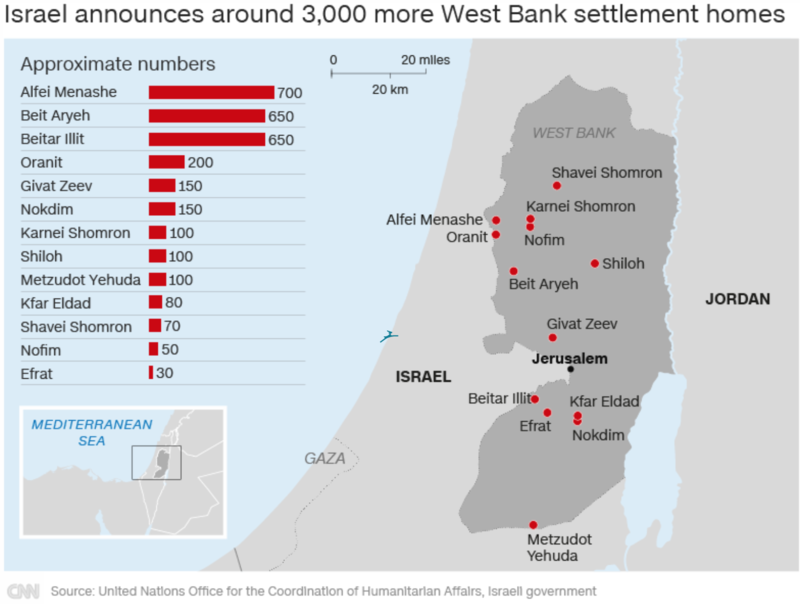 Netanyahu was clearer on the issue when stating this August, in reference to the West Bank, that “We (The Israeli people) are here to stay, forever.” This settlement policy, along with other hyper-nationalist Zionist positions, violates international law and runs directly counter to the consensus of the international community. In addition to the ethical qualms associated with hyper-nationalist Zionism, it is also a self-defeating ideology. For Israel to survive as a viable state in a region ripe with political threats, it must avoid becoming a pariah state at all costs. In fact, without sufficient international political and military support, Israel may come to face true existential threats. Thus, any ideology that seeks to help ensure the survival of Israel in the long term must advocate for policies that closely align with those desired by other world powers. Hyper-nationalist Zionism fails on this crucial front. Moreover, it is unlikely that Israel will be able to be properly secure itself in the long run if it is to continue to deny Palestinians the right to their own nation-state—this will only serve to foster further resentment toward the State of Israel. Anti-Zionists believe that the entire Zionist project is morally unjust and that Israel has no right to exist as a Jewish nation-state. Often, anti-Zionists are fundamentally inconsistent. They target a disproportionate level of criticism at the state of Israel and fail to apply their normative principles to other political states. For instance, a common trope employed by these anti-Zionists is that Zionism is in principle a form of racism. This slander received international political support in 1975 when the UN General Assembly passed the resolution asserting that “Zionism is a form of racism and racial discrimination.” If Jewish cultural nationalism is a form of racism, then the ideological enterprises of the countless other nation-states should similarly be condemned—however, Israel is almost universally singled out as a uniquely evil political entity. Like hyper-nationalist Zionism, anti-Zionism is also a self-defeating ideology. Leveling disproportionate and at times unfounded criticism at the State of Israel can serve to embolden true anti-Semites and groups bent on the annihilation of Israel. Moreover, anti-Zionism undoubtedly produces a counter-reaction by right-leaning Zionists and serves to further polarize political discourse. Insofar as anti-Zionists hope to find an ethical and just solution to the conflict, their tactics and rhetoric often run counter to this objective. Hyper-nationalist Zionists often conflate criticism of Israeli policy with a categorical rejection of the Zionist project. Similarly, in demonizing Zionism, anti-Zionists all too often mistake the current implementation of Zionism with what Zionism has been, and more importantly, what it can still be. Jewish political thought, which once featured a plurality of views, has been siloed into two camps. This ideological standoff requires a solution founded upon reason. Rational Zionism should be founded on principles that can be applied universally. If one is to believe in the principle of national self-determination, one must then support the right of both Jews and Palestinians to their respective nation-states. To support the right of one nation-state to exist while denying the right of another’s claim to a separate nation-state is principally inconsistent. Similarly, if one is to critique Zionism for its ethnic or cultural bias toward the Jewish people, homologous criticisms must also be made about other nationalist ideologies. Additionally, while drawing on intellectual currents from the past as inspiration for what a healthy Zionist debate can be, the concerns addressed by Rational Zionism should be firmly rooted in the present. The intellectual forefathers of the Zionist movement were concerned with developing solutions that were relevant to their temporal context. This context was characterized by rising nationalist movements in Europe and the emergence of a virulent strain of racial anti-Semitism. Political Zionism was aligned with the Zeitgeist of the time; an era that was defined by the rise of national self-determination. Today, we must similarly let contemporary geopolitical realities influence our policy prescriptions. Superfluous arguments about decades and centuries-old injustices generally serve to distract from current issues and make the Israeli-Palestinian conflict appear more intractable than it actually is. The key fact is that there are two national groups, the Israelis, and the Palestinians, who have equal claims to self-determination. Security concerns and emotional attachments to land must also be taken into account, but these practical impediments can be traversed if the will to achieve lasting peace is shared by both national groups. Lastly, Rational Zionists should be intellectually tolerant. Rather than demonizing all those opposed to Israeli policy as anti-Semites and all those in favor as racists, let us engage critically with their ideas. Personal slander will only serve to embolden each faction and lead to mutual distrust. Let us search for novel solutions to the Israeli-Palestinian conflict and encourage a greater plurality of thought. If Israel is to continue existing as a secure state, which is aligned with universal ethical norms, we need less dogmatic polarization; instead, we need more reason.